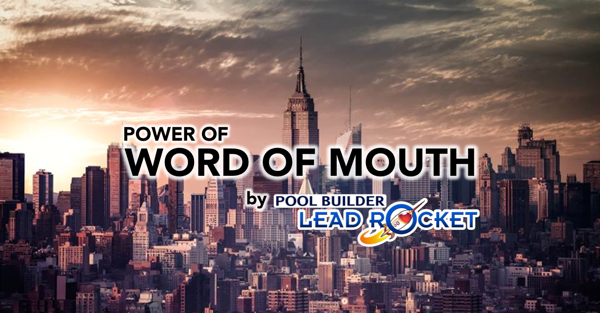 We talk to a lot of pool builders that still rely on “Word of Mouth” to get business. And why not, word of mouth means that people are saying nice things about you. What you need to do as a pool builder is to continue that momentum online. The more word of mouth a pool business has, the better. Word of mouth turns in to referrals, and they are easiest new lead to work with because they are coming to you with a good taste in their mouth. They will be more willing to close without price haggling. Social media can be used in connection with word of mouth. It’s helpful to think of social media as a digital version of word of mouth. This is the big one. You need to spend some time setting up your business page, and start getting the ball running with “likes”. I would even suggest spending $50-$100 in ads in a campaign to get new likes. Facebook makes it very easy to setup one of these campaigns. Facebook is also a fantastic way to stay in touch with already-existing clients. Get them to “like” your page when they sign up, if they have’t already. Then ask them if they will allow you to take a picture of them in front of their completed pool, and share it on your Facebook page. Once you get your 5-star review status, start to use your reviews as a trust indicator. Highlight them on social media. Put them on your website. 86% of consumers read online reviews. 90% of consumers believe them. Help them share the digital word of mouth by soliciting the reviews, and then post them on your website and social media to circulate the good things being said about you. This is a group of homeowners (a “members only” approach) who write recommendations online for companies they’ve worked with in the past. This is a less well-known social network for pool builders. In many ways, Angie’s List is the ultimate example of the “digital WOM” idea. While it costs a subscription to read the recommendations, businesses that get on the List get access for free. We’ll be back in future articles to explain how to get in touch with Angie. These social networks are showing the quickest growth, due to their high popularity among a youthful audience. There are lots of possibilities for pool builders inside Pinterest and Houzz. Stay tuned for more info in the future on this particular niche. This is where pool builders should place marketing videos touting their industry accomplishments. Also place all videos on the pool builder business website. Have you ever had an obstacle and were able to overcome it? This is great stuff to post because it shows your audience that sometimes there are issues, however your company specializes in problem solving and were able to overcome it. Did you recently complete a project and get a thank you note? That’s great social media content! Pictures are worth 1,000 words. Post pictures of the latest jobs you did. Don’t have a professional camera? Head over to our instagram for pool builders article. The nice thing about social media is that you control it, and once it exists, it will be there until you decide to take it down. So start building your word of mouth online, where it has the opportunity to be shared with even more people! 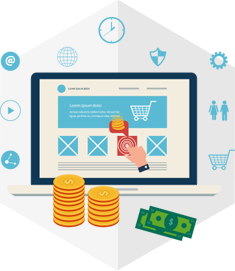 Before you leave, quickly download this guide that will show you how three ways you can drive traffic today. That's right, it's three things you can do today to start driving additional traffic to your site which means increased leads!